My dear ladies and occasional gentleman, my dear author friend has written another cracking book about me. Here’s the book and a few words from her. So proud. I’m so excited to share with you……. 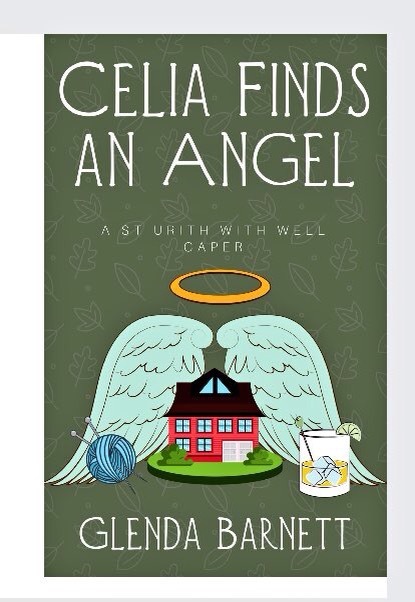 CELIA FINDS AN ANGEL published today as an ebook on Amazon. This story will whisk you away to caper like a spring lamb through a small Devon village. Strong female characters take the lead in this funny and at times moving tale. I hope you enjoy reading this book as much as I loved writing it. The idea for the story started at a parish history exhibition at our local church, here in North Devon. I’m downloading it on my Kindle Fire as we speak.